The Top Mast – 30x is an IP PTZ camera that may be small in stature (it’s less than 9″ tall) but it packs some out-sized features. With a genuinely Plug-N-Play easy connection and setup (automatic addressing with our NVR). Along with a tough Aluminum case, it has a storage position that hides it’s lens and protects itself when not in use. With all of our IP cameras, the video, and audio over Cat5E or Cat6 with our NVR or POE Switch up to 820ft (PTZs must be powered by their own power supply and needs to be closer to the camera). This 1080p PTZ (2 Megapixels HD) with an incredible 30X Zoom lens (4.5mm to 135mm) that can extend it’s effective range out to hundreds of feet, and backs that up with really fast pan and tilt speeds (although, when you zoom in, the camera slows down its speed to smooth the tracking that you may be trying to do). This powerful IP PTZ has two great night time features, Starlight which uses the natural or any light around to produce a color picture, or if there is not enough natural light then you can turn on the Infrared LED Lamps the can throw out light to as much as 175 feet, and will automatically dim them in close-up situations. The Top Mast-30x can take the roughness of Mobile applications or the harshness of any weather you want to throw at it. So whether this IP PTZ is mounted on a Mast on a vehicle, or is stationary mounted, the Top Mast–30X is a great choice when you need all the features the big boys have, but in a compact size. 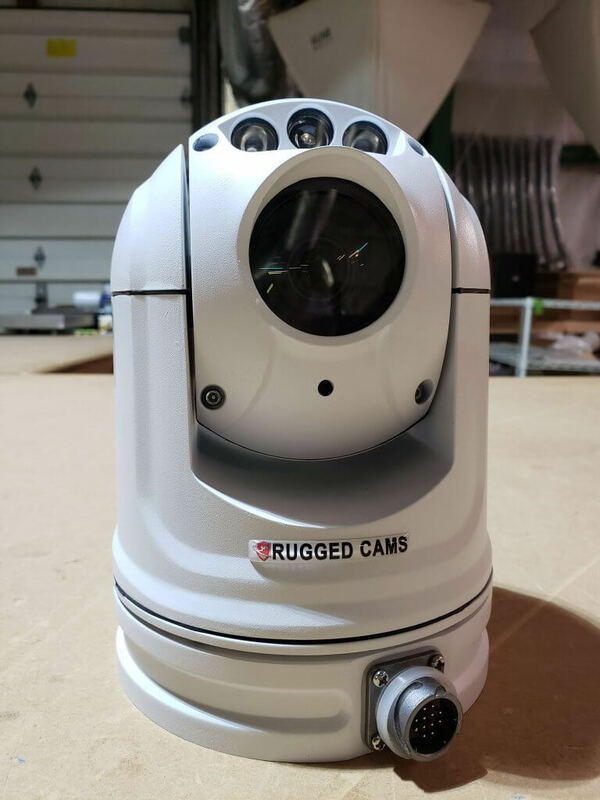 For more information on this IP PTZ camera, please contact one of our Sales Engineers here at RuggedCams toll-free 866-301-2288 or stop by our website. This entry was posted in Blog, Business and Industry, Industrial Security Camera Systems, Misc, Outdoor Security Camera and tagged Stationary Starlight IP PTZ, Vehicle camera.